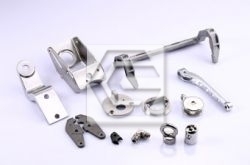 Precision casting method refers to the use of non-metallic mold (shell mold), accuracy dimension and bright surface is higher than the general sand casting method which has a unique characteristic and advantage different from general traditional casting, forging, and mechanical cutting. 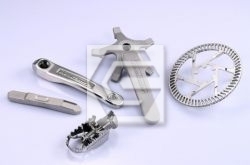 Precision casting is another name commonly known and divided into three categories, including lost wax casting or investment casting, plaster mold casting and ceramic mold casting, the most important lost wax casting. The originally English called investment casting; however, the manufacturing process of dewaxing, it is also known as lost wax casting. 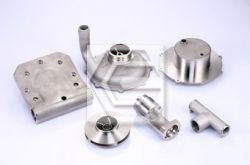 There are two major categories of lost wax casting: solid mold and ceramic shell mold. The ceramic shell mold is a modified method from solid mold. Most of foundries apply for this method already. Lost wax casting is widely used in industry machinery and equipment, valves, pump, injection engines, gas turbines, measuring instrument, aircraft parts, internal combustion engines, vehicles, food machinery, printing machinery, paper machinery, compressors, sewing machines, steam turbines, weapons, business machines, and other machine parts.